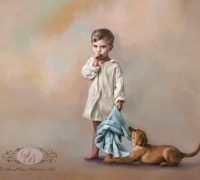 A child and his puppy portrait painting. SandBar Photography is honored to volunteer our time and talent to photograph the monthly calendar pages for the ARC bidders. Each year ARC aka Animal Refuge Center of North Fort Myers has a calendar contest and auctions off the monthly pages for the following year’s calendar, then the calendar is sold for more monies to be raised for the shelter. The winners bid money goes directly to the shelter for much-needed funds in the medical and practical needs of the dogs and cats that are orphaned. Professional Pet Portraits help raise money for the local animal refuge center, not only through the annual calendar pages but SandBar is offering for anyone that wants to update a personal pet, child or family portrait, a complimentary session fee in exchange for a donation to ARC for the month of September. As many of you know this is an annual fundraiser that SandBar participates in, we book out the entire week just for the calendar cats and dogs to come in for their photo session. It had been on the books for months for the week of Aug 14th, but sadly only 2 weeks before my dear friend and business partner, Sandy passed unexpectedly. It was such a devastating blow and shock I honestly didn’t know what to do other than just keep our schedule. Little did I know that it was the best thing for me and SandBar to get thru this time. The very first session was 3 cats and 2 dogs for the cover and I hadn’t a clue what they looked like or what I was going to do. It was the cover after all! The minute I walked into the studio it was game on and instincts of creativity took over, Charlie, Kate, Nancy, Kit and Kaboodle arrived and were so sweet, posed perfectly. It was a breeze and gave me confirmation that this is exactly what I was supposed to be doing and where I was supposed to be. Surprisingly I felt very close to Sandy, I thought I would feel very alone and just be a mess. The rest of the week, Toby, Tully, Courage, Mixie, Pete, Mr. Wilson, Stumpy & Bob, Libby, and our favorite ARC mascot Lily all had so much love to give. I am very pleased with how this calendar has turned out and excited to share with everyone. Adopting an animal is a lifetime commitment and is wonderful, but even if you can’t do that at this time there are other ways to help. Fostering an animal is an amazing opportunity, mother cats with young kittens would love to be in a home until kittens are weaned. Shy animals would benefit from being in a home environment for socialization until they can find a forever home. When natural disasters with large scale intakes hit other shelters across the country, ARC steps in and helps with the volunteers of foster families so the facility isn’t over capacity. When foster families share photos on social media and help find permanent homes that is a very rewarding way to help as well. Donations are always welcome and needed both financial and in supplies. Below is a list. Shelter Wish List: Disposables: Paper towels, tall trash bags, dish soap, laundry detergent, bleach, Clorox bleach wipes and linens. Equipment: Industrial washable mop heads, brooms, buckets, and dust pans. They can always use new or nearly new washers, dryers, and pressure washers. They can always use NEW air conditioner/heaters for the residents’ housing. Remember: SandBar is offering for anyone that wants to update a personal pet, child or family portrait, a complimentary session fee in exchange for a donation to ARC for the month of September. Give me a call! Only I could tell this part of Sandy and I wanted to honor her. The pews of the church were filled with family, friends, fellow photographers, & clients. The platform and steps were completely covered with 42 gorgeous flower arrangements. Besides the floral arrangement from her parents and her husband, I placed the arrangements with hydrangeas the closest to her portrait as that was her favorite flower. Her father, her brothers, her husband, her daughters, best friend’s son, and Pastors all spoke about how they had known Sandy at the memorial. This is what I had to say. 25 years ago, We met in church and both were on the dance worship team. Our friendship was based on a strong foundation. It was always God first, Family 2nd, and then our business. 15 yrs into our friendship, a few days before my Mother’s funeral, Sandy and I had a long conversation about Life and Death. 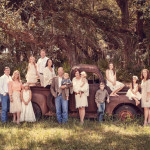 Creating and “Living a Life we Loved” was the conception of our photography business. 2 months later, Sandy and Barb became “SandBar Photography” we opened for business May 2007. SandBar is the life and the love that we created together. Love never dies and to honor her memory, Sandbar Photography will go on. Somewhere around 1500 sessions in the past 10 years, not one argument! We laughed and said that we worked together like hand and glove & Laurel and Hardy. We’d pray for our sessions and the people. Our clients we loved like our own family. She was so considerate and always giving….. Last text was about buying a baby shower gift for a client. God gave the two of us one of the greatest gifts in life that you could have with another person other than your spouse. She was not only one of my closest friends & spiritual sister, but because of our business together we were able to travel the United States on many adventures. We laughed and always had so much fun. What a rare treasure to know and to love Sandy Rose! The last day I saw Sandy was the day before my vacation, Thursday, July 20th we spent a full day at the studio doing what we love. I believe that Nothing is a surprise to God. He knows the future before you step into it and he prepares you for the next season in your life. 24 hours later…..The next afternoon I was out in the Gulf in a boat and suddenly a storm came up – it got very dark and black. Before we knew it, we were surrounded by a pounding rain, with lightning popping. There were voices on the boat of panic and fear as the grandchildren cried for us to go back to shore. All the while my son in law, Torey, who is a boat Captain, was saying No we must wait it out, and important to be still. We were wet and cold huddled together, the captain of the boat pulled the bimini top down like a convertible to cover our backs and somewhat protect us as he stood with his hands at the wheel watching over us & the storm. As the boat rocked side to side, I remember being very concerned ,but somehow had a deep calm. I wondered if we were going to make it through. We were sitting ducks. I thought: This is it and I have no control over this situation. *** And there are storms in life that we have NO control over……. After what felt like an eternity the storm passed, & the skies cleared up enough to see the shoreline. We were about 10 Miles out as we began to make our way back to the boat ramp – The Lord spoke to my spirit and said: “There are many voices – when storms of life come, voices of fear and panic also come but there is only ONE voice. “ “It is the voice of the captain, the voice of the Lord your God to be still to wait till the storm passes , I’ve got your back covered and I am at the wheel gently watching over you,” I remember thinking wow that will preach and I am not even a preacher, who am I gonna tell this to? ****** A week later, suddenly another storm came, in the wee hours of the morning as I sat in the dark, on the couch, in unbelief, over Sandy’s passing. The voice of fear came….with the questions that we ask …. ‘why’ did this happen? I don’t understand What do we do next? Once again I heard the Lord say to me “There’s only ONE voice to listen to your Captain.” Now you have the opportunity to walk out what you say that you believe. I pay attention to numbers. We were 10 years in business together. We were 10 miles out from shore…. In scripture the number 10 means testing. Whether it is a test, a trial, or a storm….I know that God has got this. My Mother was a seamstress and she would hold up her pieces of material she had sewn together and “test” the strength she would say. Whether it is a test, a trial, or a storm….I know that God has got this. God knows our beginning and ending. This is not the end. This is a new beginning for Sandy and for all of us. THIS IS THE VOICE OF YOUR CAPTAIN speaking…… Psalms 46:10: BE STILL and KNOW that I AM GOD. We so appreciate our loyal clients that are truly more like friends to us. 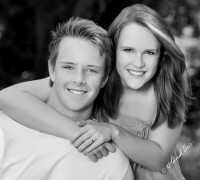 Look at who came to SandBar last week for their High School Senior Portraits. Oh My Goodness, where has time gone. Lauren and Jonathan were so cute as children but they are not little children anymore. They are smart, they are so kind and both beautiful inside and out. I sound like a proud grandparent but we have the opportunity to meet so many wonderful children, young adults and parents. One of my favorites in black and white. Thank You Lauren and Jonathan for choosing SandBar Photography. We wish you both all the success life can bring and have no doubt you two will go far in this life and make the world a better place just for being YOU! 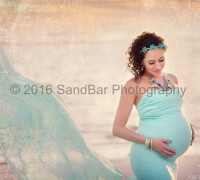 When Alice first met us at Parent Child Expo this past June at Germain Arena where we have been doing an annual photographic art display for the past 8 years, she was very much pregnant with her third child and had asked us to do a maternity photoshoot at Fort Myers Beach. She was only a few weeks away from her expected due date. We were very much surprised she was that far along and normally our schedule doesn’t allow such quick scheduling. In most cases the idea time to capture maternity photos are between 28 and 32 weeks. This is because of water retention that causes puffiness and swelling in face and feet. Alice was a different scenario, she looked amazing and didn’t have the usual swelling. She wanted something on the beach and loved our art work of families and children on display. “Your work is different and looks like paintings” she told us. Yes, that is a common statement and one we strive for in each session. Personal art for each client’s home! 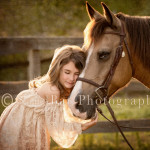 Here are some of the images we produced that evening with her family. beautiful maternity silhouette at sunset. The last image made that gorgeous evening. Only 5 days old and so precious…. This beautiful baby boy was just 5 days old at our SandBar Studio newborn session. His name is Asher and such a sweet little one to work with. He was an absolute dream baby, easy to photograph and position. Older brother “Chosen” watching over him during the session. Chosen is so happy to have a baby brother. We welcome the Micco’s to our ” SANDBAR Family” and we are honored to have the privilege to track his first year of growth with fine portraiture that will be cherished a lifetime. Blessings to the Micco family.